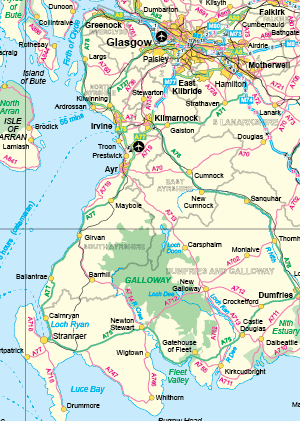 UK and Ireland Editable Illustrator & PDF Motorway Maps including A Roads, Rivers, Lakes, Parks, Coastline, Towns and Cities. 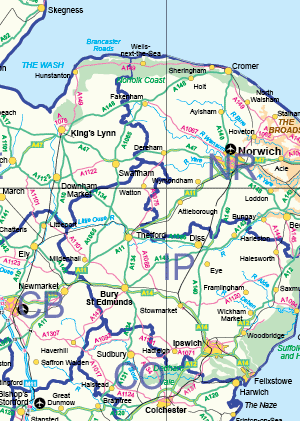 Download a sample pdf file showing a section of the UK at the same level of road and feature detail as the rest of the maps for sale on this page. Our road map files are quite large and contain a lot of detail so these UK Road Maps are best printed out large to show all the detail clearly. Our super detailed motorways and roads map of the UK with the postcode Area boundaries overlaid along with the postcode area labels. 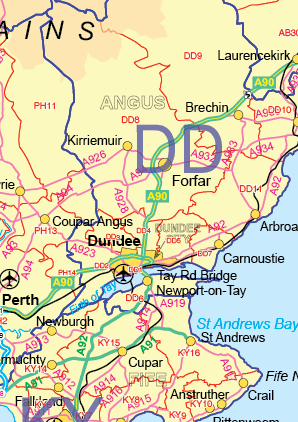 This map is fully editable using Adobe Illustrator or Inkscape and can be printed out at any size without losing any resolution or becoming pixelated. 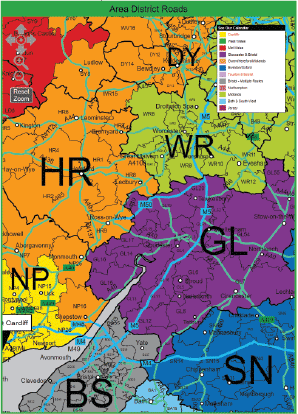 Use our map colouring system to create a postcode district territory map of the UK. Switch on and off various layers containing roads, motorways, town names, city names, road numbers etc. Use the road network to help create your map and then hide them before saving your map as a vector based pdf map.